Google’s new phone — the Pixel 3 — doesn’t look like an $ 800 phone. There’s no futuristic edge-to-edge design here, and the feel isn’t on par with an iPhone XS or a Galaxy S9. You do, however, get a phone with what looks like a great screen, an excellent camera, uncluttered software, and strong performance. There’s a variety of artificial intelligence features baked in as well, so while it’s tough to justify the $ 150 price jump from last year’s Pixel 2, there’s a lot happening under the hood that makes the Pixel 3 a compelling phone you’ll want to own. The Pixel 3 has the same features as the larger Pixel 3 XL. That means you don’t lose out by going small — a strategy Apple has copied with the iPhone XS and XS Max. That doesn’t mean the Pixel siblings are identical, though. The Pixel 3 has a 5.5-inch screen, with a lower resolution and a smaller battery than the XL model. 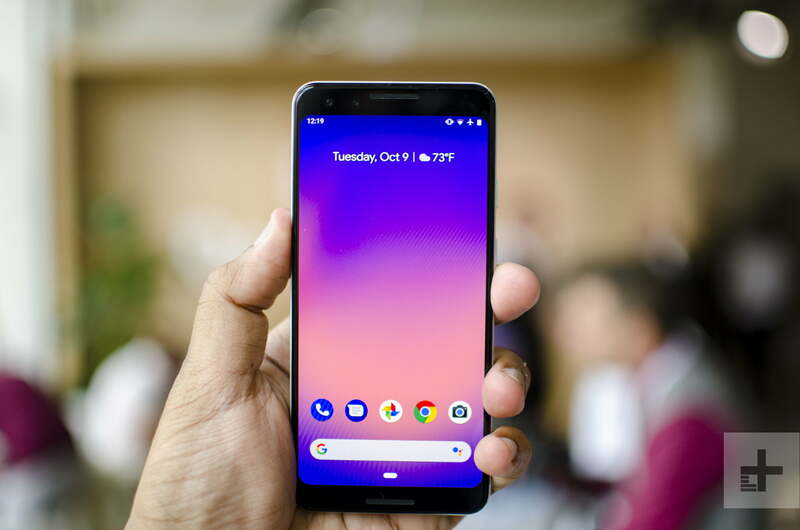 You’ll also notice the Pixel 3 has chunky bezels around the screen, while the Pixel 3 XL has an unattractive notch. While we’re glad that notch isn’t on the Pixel 3, the chunky bezels look out of place on a top-tier smartphone. They’re slimmer than the edges around the screen on the Pixel 2, but they’re nowhere near as skimpy as the edge-to-edge design on the Galaxy S9. Still, you’ll likely forgive this quibble after a few days of use. Turn the phone over, though, and it can pass for handsome. Google is sticking with the two-tone look, but instead of mixing glass and metal, it’s all glass on the rear. Google has managed to make the bottom glass matte, so it’s not as slippery as other phones and hides fingerprints better. However, the Pixel 3 XL is less alluring than Samsung’s Galaxy Note 9 or Apple’s iPhone XS. The chunky bezels look out of place on a top-tier smartphone. The 5.5-inch OLED screen offers 2,160 x 1,080 resolution, and it looks great. It was bright enough to see with direct sunlight shining through windows, though we’ll need to take a better look outdoors. Colors are vibrant and paired with deep black levels in dark scenes. Dual front-facing speakers make a return. Google says the speakers are 40 percent louder than last year’s Pixel 2. The difference is noticeable. We could hear Google Assistant even over the press event’s cacophony. Speaking of Google Assistant, you can squeeze the phone to trigger Google’s helper, just like last year. There’s no headphone jack (again), but Google wins some points for including USB Type-C earbuds in the box, as well as a 3.5mm headphone jack adapter. The Google Pixel 3 XL is powered by the common Qualcomm Snapdragon 845 processor, paired with 4GB of RAM. Navigating Android 9 Pie felt fluid and responsive, with apps launching quickly, and multitasking posing no issue. While Android 9 Pie on the Pixel 2 XL allowed us to change the method of navigating the phone, we could not find an option to use the traditional Android navigation buttons. That means you’re stuck with using Google’s gesture navigation system, which isn’t as simple as the gesture navigation system on the iPhone XS. There are software features exclusive to the Pixel 3 that we haven’t been able to try yet. You can place the phone screen facing down to trigger “Shh” mode, which silences all your notifications. A new Call Screening option uses Google’s Duplex technology to let you see whether a call is from a telemarketer. And Gmail’s Smart Compose arrives to write your emails for you. There’s a 2,915mAh battery in tow, which is slightly bigger than last year’s Pixel 2. That’s good, but we think Google could have upped the capacity. We’re not expecting anything more than a full day of use. Since the phone can wirelessly charge, Google is selling a 10-watt wireless charging stand for $ 79. 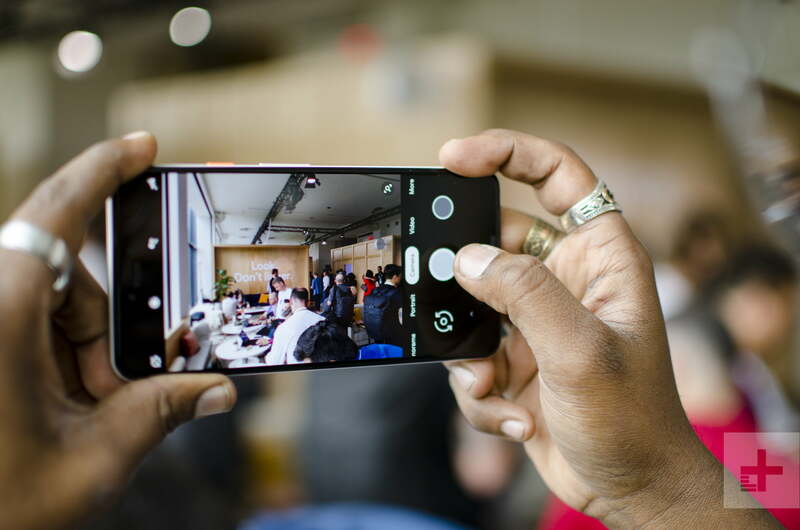 The Pixel Stand juices up the phone, and has are a variety of other integrations, such as connecting with the Pixel’s Do Not Disturb mode, and doubling as a digital frame for your photos. There’s no MicroSD card slot, but there are options for 64GB or 128GB of internal storage. Google is still offering free photo storage to Google Photos in their original resolution, which is a great perk. The Google Pixel 2’s camera is at the top of our list. The Pixel 3 XL improves on it while maintaining the single-lens camera system on the back. It’s a 12.2-megapixel lens with a f/1.8 aperture, and we experienced almost zero lag when snapping photos. The camera app feels smoother than ever before, and has several slick new features. Google’s still has its impressive HDR+ technology in the Pixel 3 XL, which takes many photos when you tap the shutter icon and combines them all to create a perfect photo. A new feature called Top Shot now alerts you to when someone may have blinked in a photo. And you can peruse through all the photos it captured to choose something better. It’s much like choosing a key photo in Live Photos on the iPhone. More impressive is Super Res Zoom, which reduces the noise in photos captured by digitally zooming in. There’s no optical zoom, so zooming in to capture a photo on the Pixel 3 still won’t look as good as using the 2x optical zoom on phones like the LG V40, Galaxy Note 9, or the iPhone XS, but the results are still impressive. We were able to make out details of buildings far away after zooming in. It works far better than expected. The camera app feels smoother than ever before. There’s now not one, but two front-facing cameras. Both are eight-megapixel cameras, with the main lens having a f/1.8 aperture, and a secondary wide-angle lens with a f/2.2 aperture. You can use the wide-angle lens for group shots, or to simply take in more of the scenery in your selfie. Switching between both cameras is incredibly fluid, and Portrait Mode works with both cameras, so photos can stand out even more. Playing around with both cameras is a lot of fun. Portrait Mode also looks better than ever before — on the front and the back. It accurately identified the edges of a subject and applied a strong bokeh effect. Details here are incredibly sharp, and these photos often look like they came straight from a DSLR. There’s even more to the camera, but we didn’t have chance to try every feature during our hands-on. What we saw, however, has us convinced the Pixel 3 XL will remain a favorite among smartphone photographers. The Google Pixel 3 costs $ 799, and pre-orders are open now. It officially goes on sale starting October 18. The phone is being sold through Google and Verizon, but if you buy it from the Google Store, you can use it on any major carrier network in the U.S. The hardware may not call for such a high price, but there’s no other phone with this many A.I. features. We’ll be tinkering with the phone over the coming days to find a final verdict, so stay tuned.